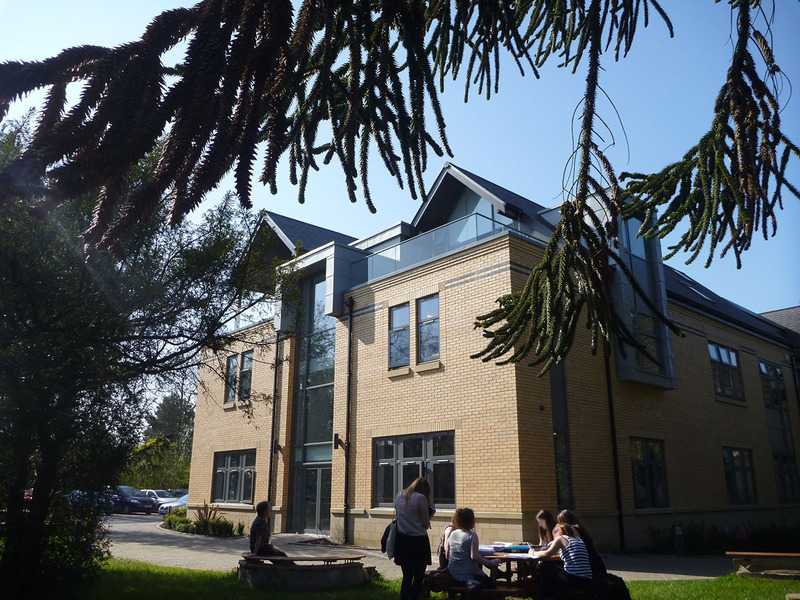 This new Sixth Form annexe funded by the LSC accommodates the increased number of pupils joining the Sixth Form, comprising 6 classrooms, IT suite, toilets, staff room, and seminar room plus 2nd floor conference and training facilities. 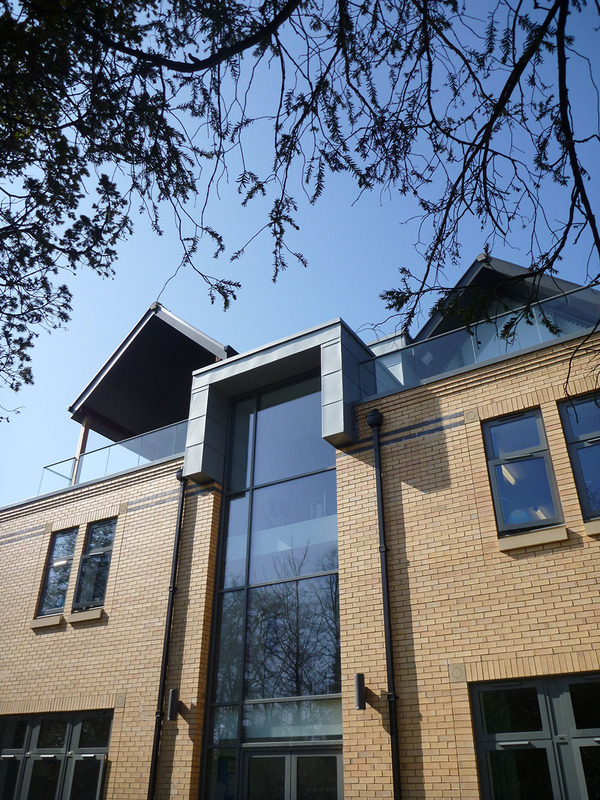 Natural stone plinths, Welsh slates, buff bricks and aluminium windows were specified to create a high quality building located in the Bowdon Conservation area. Flexibility – movable walls to suit teaching requirements. Low energy use – Compact plan shape and high insulation minimises heat loss and air source heat pumps supply underfloor heating. Environmental performance – High thermal mass combined with night cooling avoids need for air conditioning and maintains good comfort levels, room dimensions allow single sided natural ventilation and rainwater collected and recycled for toilet flushing.